Things were not looking good for Bruce Wayne when the third episode of Batman: The Enemy Within had ended. Due to my own choices, I had my cover as part of the Pact blown, and subsequently thrown into one of Mr. Freeze’s death freezers. Thankfully, through the use of a few helpful Bat-gadgets, I had managed to escape. Still, things weren’t looking good as the dangerous gang was on their way to steal a deadly virus. A lot of What Ails You is playing catch up as Batman always seems one step behind on his enemies. This isn’t often the case for such a great detective, and it leads to some gruesome discoveries. Sure, all of the deaths that Wayne encounters aren’t exactly ones to be overly mourned (many did work at a secret laboratory that was conducting tests on human test subjects), but it still weighs on him—as someone who tries to avoid killing as much as possible—that it wasn’t avoided. Players also get to play detective several times during the latest episode, as they have to track down clues as to what Harley Quinn and company are up to. Telltale has often struggled with balancing the more traditional adventure game elements with their narrative structure, but it all feels incredibly natural in The Enemy Within. None of the puzzles are highly memorable, but they more than serve their job of breaking up the action and letting players actually explore different parts of Gotham. Inevitably the batarang hits the fan, and things really pop off during the big encounter. It amounts to one of Telltale’s coolest action scenes, and seeing Batman struggle to take on several notable foes at once is a solid twist for a hero who can often seem overly prepared and capable. Things have rarely gone as Wayne has planned during The Enemy Within, and it’s intriguing to see such a stoic character thrown off his game in small ways. When the dust settles, players are left with some important choices to make. Perhaps the biggest one deals with John Doe (the Joker), who has become increasingly unhinged during the season. Players can either admit to using him, or put their trust further into his fragile mind. I chose the latter, which is a decision that will surely have some consequences. I started to see a glimpse of what awaits in the final moments of episode four, as I had effectively turned the Joker into a vigilante rather than a supervillain. However, he’s one who doesn’t use the same moral code as Bruce Wayne. I know that will inevitably lead to the end of our very strange friendship as he’s not nearly as worried about harming those who have done wrong. I’ve been very vocal in the past about how I don’t find the Joker to be the most compelling Batman villain, but I have to give credit where it’s due. 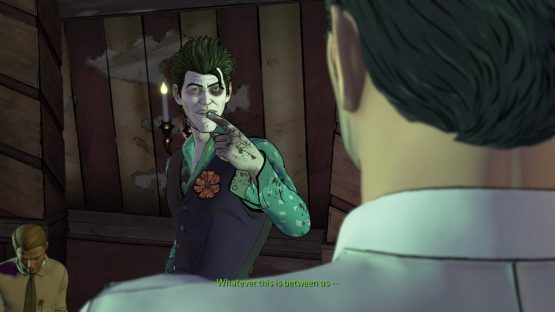 Telltale has not only managed to make one of the most interesting incarnations of the Harlequin of Hate, but the slow build has paid off wonderfully over two seasons. It doesn’t feel rushed at all, and it has all built up to a natural point where John Doe is finally embracing his madness in a way that was impacted by the player. I’m incredibly excited to see what happens next, and to see what sort of chaos I accidentally helped cause. 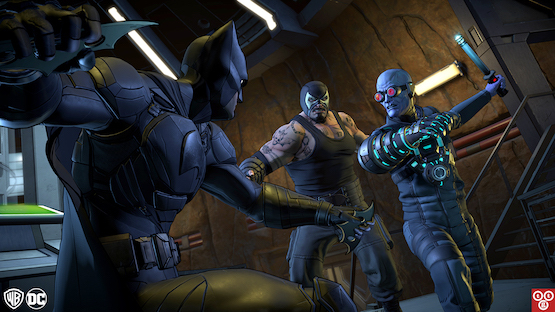 Batman The Enemy Within Episode 4 review code provided by publisher. Version 1.04 reviewed on PlayStation 4 Pro. For more information on scoring, please read our Review Policy.